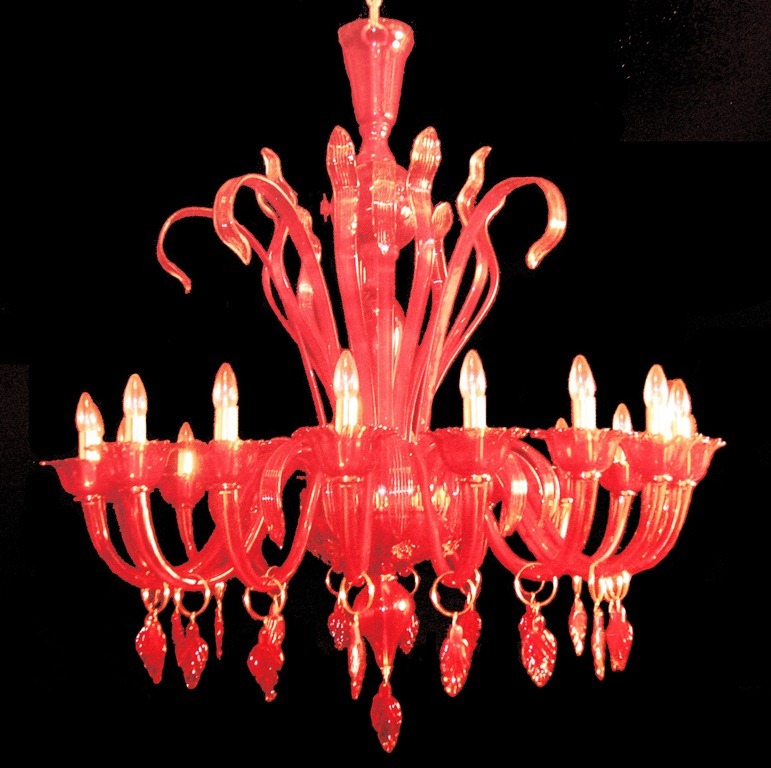 Despite the lack of variety there are some stunning red chandeliers that would most certainly put the finest of finishing touches into designer rooms. 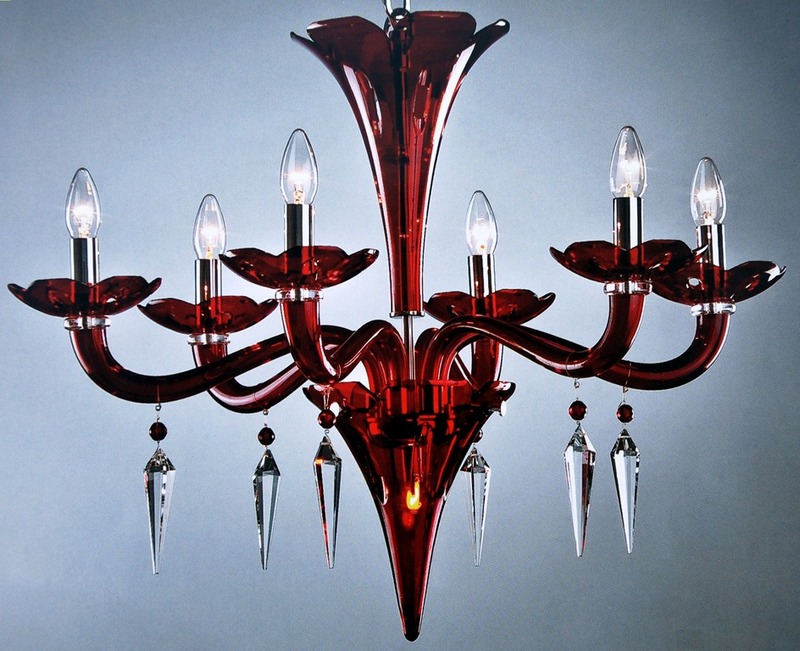 There are great deal of designs across the variety of rooms that are begging for a red chandelier however the plea for one comes largely unanswered. There is a hint of hesitance to use red within a family home however this passionate, sensual colour brings spark and confidence to a room that could other wise be uninteresting. Very important role is played by a contrast. The more contrasting your accompanied colour is to your red the more striking the design will feel. I would however start with selecting a base object. This should be the one that has the least of selections. 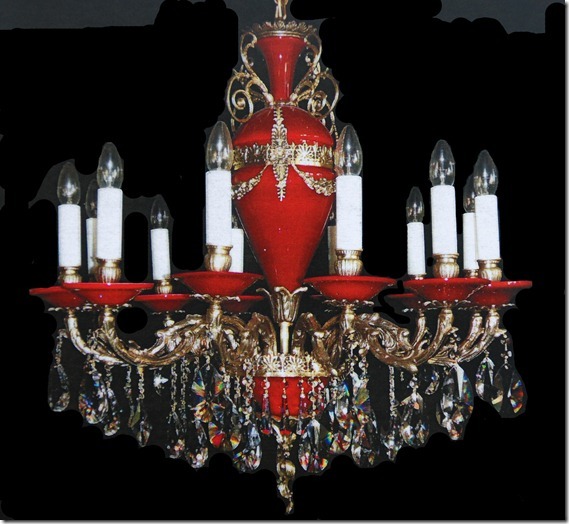 Designing with red this should probably be the chandelier as you will find it easier to find a fabric and an oriental rug that matches the chandelier when selection of red incorporating fabrics greatly outnumbers selection of red chandeliers. Once you have your base colour you can see how much contrast you would like within your design. 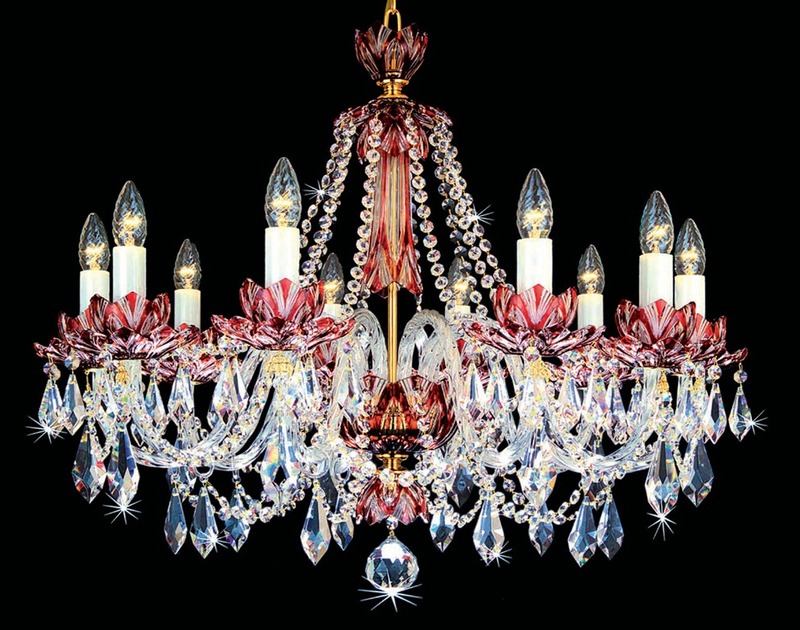 Red and white is the most striking and will take your attention without any delay. 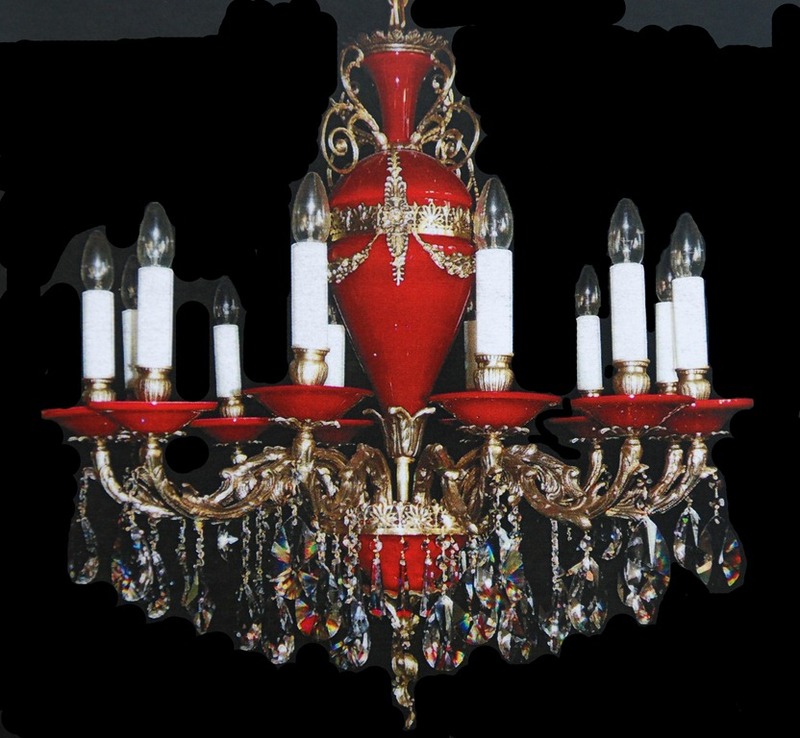 Take for instance a bedroom : white shabby chic furniture, red curtains, some red cushions on white bed linen and of course one red chandelier would make a fantastic design. To make this a busy striking design use floral wall paper, there are plenty of poppy and roses designs. You could also add corona with the outer layer of the same fabric as the curtain and inner layer adding some extra interest. In living room: white settee, red and white pattern curtains with corresponding cushions, red accent wall as dramatic backdrop to an opulent white marble fireplace and few red oriental rugs strategically scattered on the floor. If striking is not what you want then use red and cream. Varying shades of cream will act as the volume control on your i-pod and you can get it right down to mute. To achieve rich rather than striking use red and gold – like in palaces all over the world, you can not go more glamorous than this. The most toned down combination I would say is red and black or red and dark oak. You would get very strong colour design, that would however be completely silent. However as always beauty is only in the eye of the beholder so please only go for a design you are comfortable with. This also applies when your room is designed for you, unless you trust your designer completely – and trust me good designers are worth their weight in gold as they do a bit of magic. 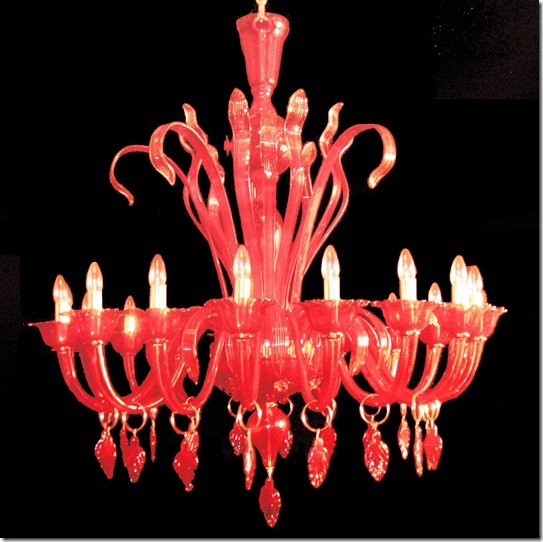 If you would like to see and example of a red chandelier that you could acquire have a look here and if this is not quite to your liking please call us. 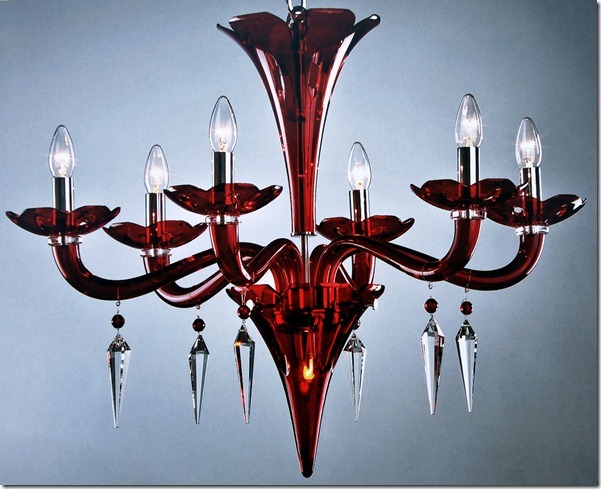 Chandelier is exactly any light that hangs from the ceiling of a home. 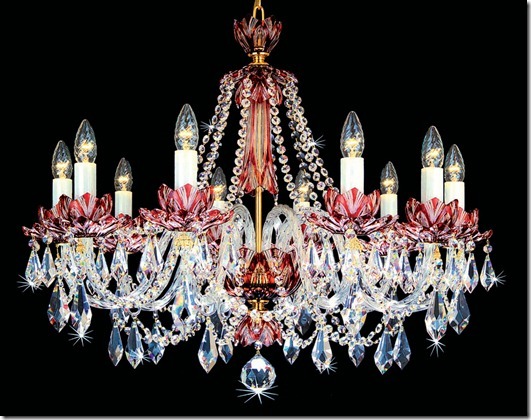 Most people think about crystal chandelier as they hear the word chandelier.